Bayco is an industry leader in task lighting solutions for 25 years with a reputation of providing high quality, rugged designs that stand up to the rigors of professional use. That means performance, durability and reliability is never compromised. NIGHTSTICK is the preferred choice of Industrial and Aerospace professionals needing intrinsically safe lighting to work in hazardous environments. 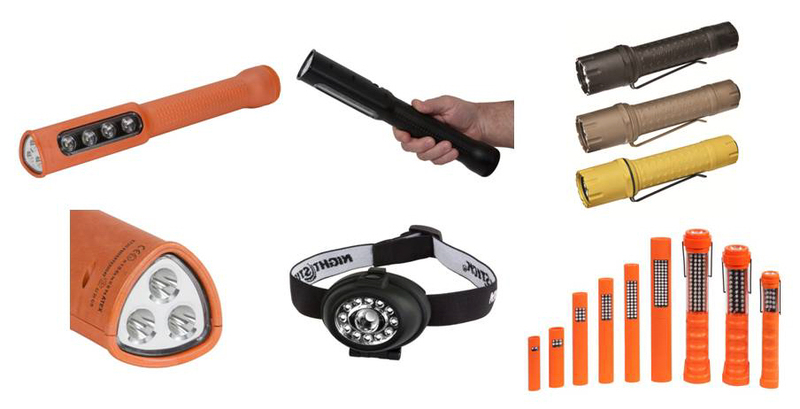 Many NIGHTSTICK models are available with rechargeable and replaceable battery power sources. The NIGHTSTICK™ XPR-9862E ‘Top of the Range’ Flashlight – Floodlight – Dual-light Intrinsically Safe task light is designed specifically for lighting hazardous workplaces that have the potential to catch fire or explode. Representing Bayco innovation, the XPR–9862E is ATEX approved for use in Zone 0 explosion prone environments while providing extraordinary hand-held portable illumination.